As I sit back and watch the interactions and listen to conversations between parents and children in the tennis world, some of the things that are said baffles me. 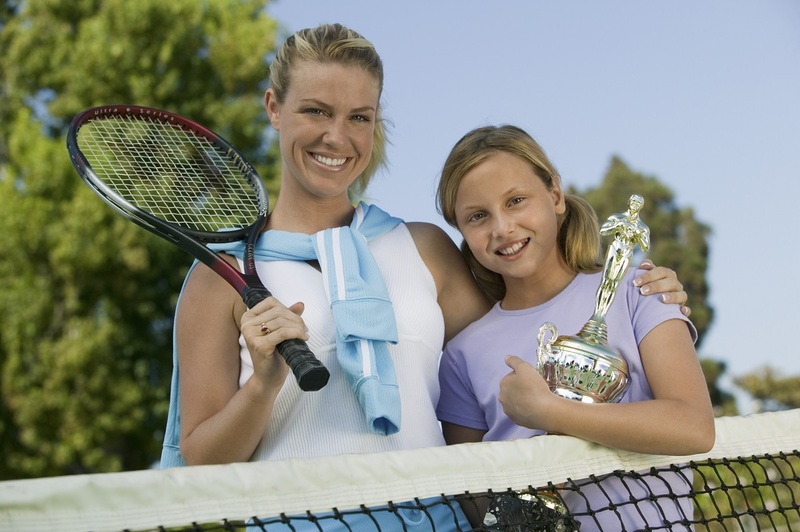 I understand all the money invested in practices, private lessons, tournaments and traveling all too well, but adding anxiety or extra pressure to your child will not make them win a match or tournament. I've been teaching competitive junior tennis for more than 20 years, and can safely say I've seen it all. I've seen parents shout and curse at their child, throw a phone that hits their child in the back, and starving a child because they didn’t win a match. That is just some of the crazy behavior that opened my eyes to destructive relationships between parent and child. Thirteen years ago when my daughter was born, I made a promise to myself to be nothing like those parents. This is because I understand the pressure of being a tournament player, the pressures to train hard and get results in competition. To date, I have held true to that promise. With that being said, I cannot say that I haven't had a few moments where I've walked off the court because she was driving me crazy, wasting my time and energy and not trying her best. This may not be the best thing to do, but I know I don’t want to ruin our long-term relationship by yelling, cursing or doing any of the negative things I've seen done in the past. These behaviors can become forever damaging to the maturing mind of a young athlete. It could steer them away from trying anything new when it comes to sports, and if that is important to parents, then they should be careful of what they say and do. I think what some parents seem to forget is that tennis and sports are not the most important thing in life. If you ruin the relationship between you and your child when they are young, what's going to happen when they are older? Their desire to play a sport will begin to decrease and they will play just to impress or appease you, versus genuinely enjoying the game. I have seen this happen very often. You, as parents, are supposed to be the rock—the person teaching your child that it's okay to celebrate your wins and learn from your losses. There is no need for temper tantrums and unsportsmanlike conduct, either on or off the court. Don’t expect the coach to teach and discipline your child on simple moral issues. As a coach, you can mainly discipline when it comes to rules of the game and behavior on the court. Your child should automatically know to respect their coaches, other players and the game in general. This all starts in your own household when you start teaching your kids about rules and behavior. Remember, your goal as a parent is to listen, advise and support your competitive child in a positive way through this tough journey. Added stress, pressure and negative energy will not make the situation better now or in your future relationship with your child. Marvin Jeffrey is a Senior Staff Professional and High Performance Coach for New York Tennis at Great Neck. When not coaching high performance players at New York Tennis at Great Neck, Marvin spends time attending junior tournaments with his players, as well as competing in Men’s Open tournaments and USTA Leagues.